From the Start Screen, bring up the Charms Bar by placing the mouse in the upper or lower right corner of the screen – on a touch device, swipe in from the right edge toward the center of the screen. Then click the Settings gear icon, then Change PC Settings at the bottom. 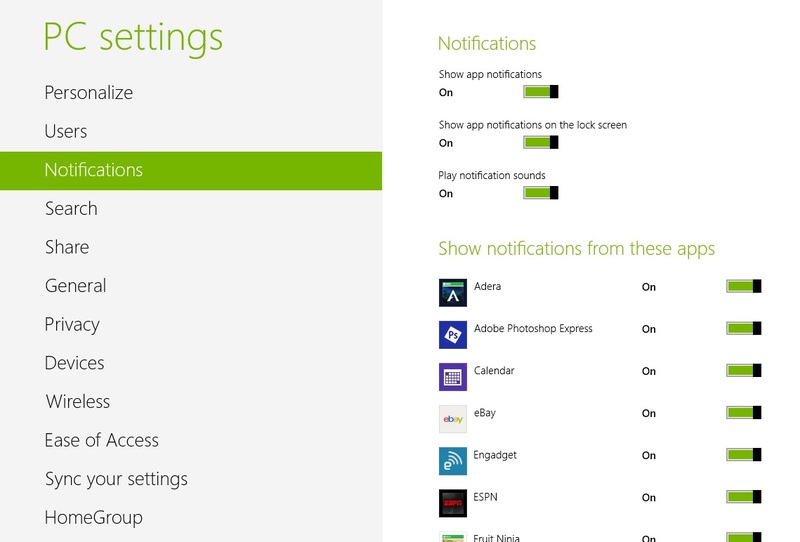 Click on Notifications on the left, then toggle notifications on or off – altogether, or app-by-app.